I’ve grown to dread flying, not because I fear a random crash or even the notion that a suicidal terrorist might sneak explosives aboard. Rather, I dread the processes of ticketing, security and boarding, which make me glad that I fly so infrequently. I may fly long distances but, more often than not, I only have to endure the process once. That was why last Wednesday, when I faced a flight to Santiago that required me to board in San Francisco and repeat the process in Los Angeles, I felt apprehension. In the first instance, the SFO-LAX flight was with American Airlines, whose long lines and normally indifferent customer service I loathe. That said, I was pleasantly surprised. At 3:30 p.m., American’s ticket counter was almost empty, and I was able to check my bags through to Santiago (American and LAN have a code-share agreement). The only glitch was that the counter personnel told me that I wouldn’t need to go through security again at LAX, and they were wrong (I had my doubts, in any event). It was an equally pleasant surprise to find security lines not much longer than those at the ticket counter, and I breezed through both in barely ten minutes – the way it used to be, before all the security hysteria took hold in the US. Thus, I had a couple hours to kill at SFO, where there’s free WiFi and comfortable workstations with outlets for charging your devices. The American flight was a cramped AirBus, but at least it only takes an hour to Los Angeles. 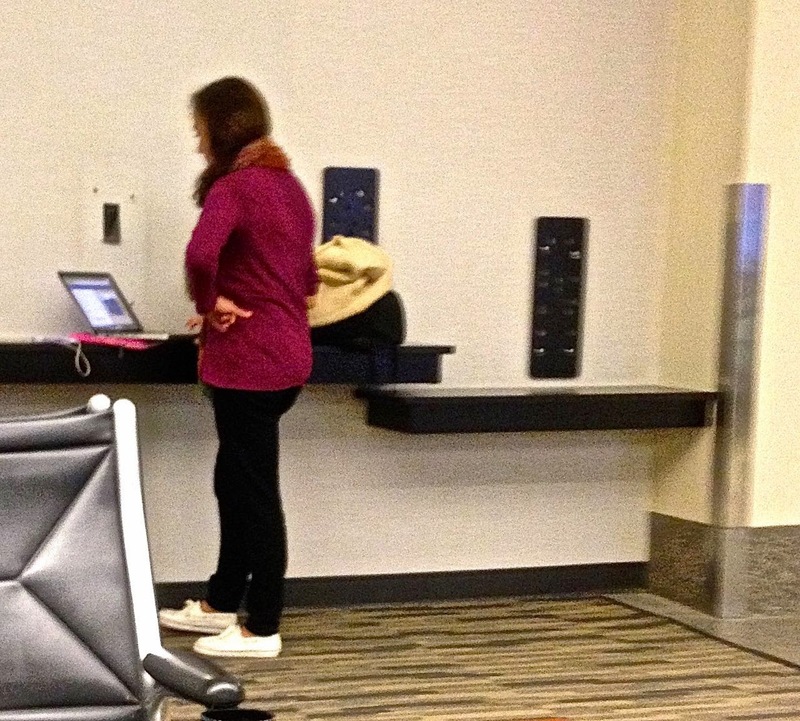 Given the normally long lines at LAX’s Tom Bradley International Terminal, but there was another pleasant surprise: with new scanning equipment, we didn’t have to remove shoes or belts, nor even remove the computer from the bag. It wasn’t quite so quick as SFO, but it was a definite improvement. The downside of LAX was the fact that, although it has free WiFi, there’s almost no place to sit and recharge your devices, and people were sitting on the floor or standing around the few accessible outlets. LAX is still undergoing a major remodel, so maybe that will improve in the coming years. The concessions could also use improvement, as I didn’t much like the food selection compared to SFO’s (which is also cheaper). 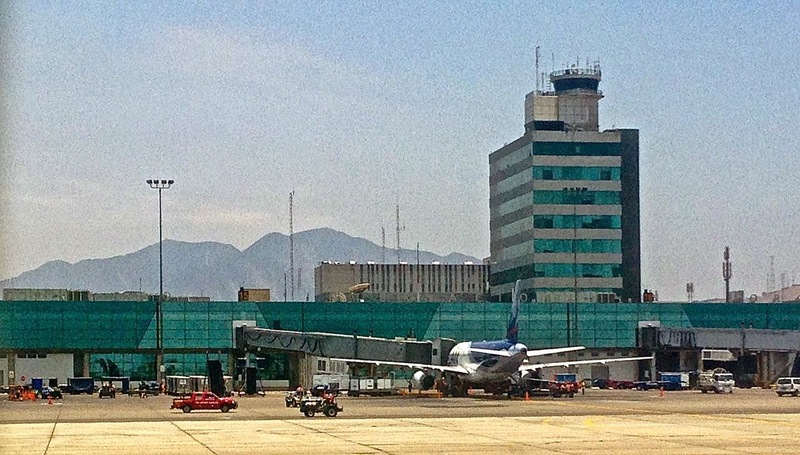 The plane left LAX a bit late because of some on-the-ground problems, but I managed to sleep most of the way to Lima’s Aeropuerto Internacional Jorge Chávez (pictured above), arriving in plenty of time to make the connection to Santiago (but lacking time for a Peruvian pisco sour). Lima, though, rechecks the hand baggage of connecting fliers, even within the international terminal, which is only a minor annoyance as they’re pretty quick. The three-hours to Santiago was another cramped Airbus, but I did have one pleasant surprise on arrival. 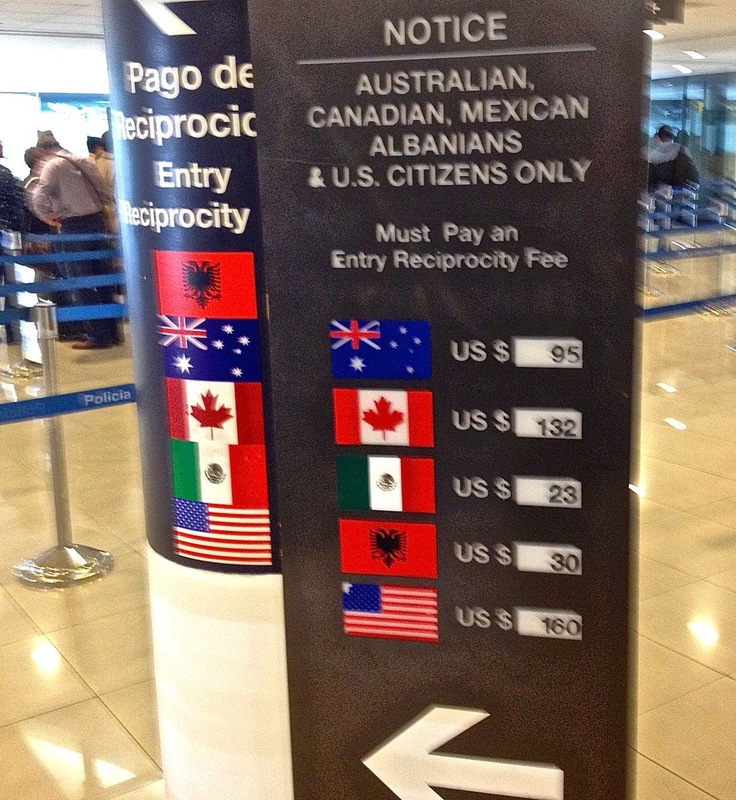 I’ve written many times about the so-called “reciprocity fee” that Argentina and Chile collect from some arriving passengers; Chile eliminated the fee for US citizens last year and, since then, on both Albanians (!) and Canadians. 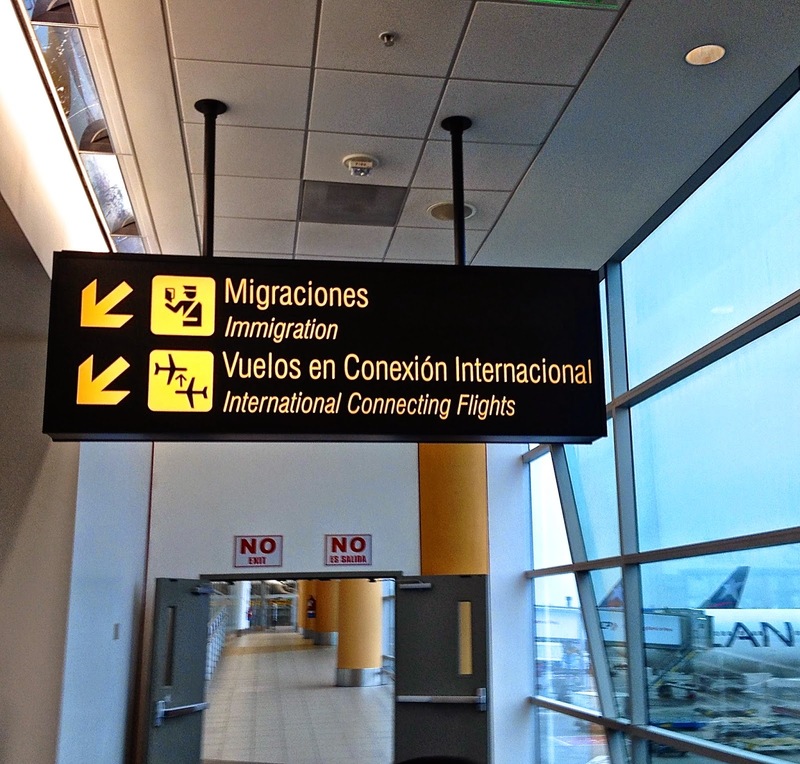 The sign below is dated, as only Australians and Mexicans now pay the fee at SCL (overland travelers or arrivals at other Chilean airports do not pay). By the way, I stole the title of this post from a regular feature on Harry Shearer’s weekly radio program Le Show, which often ridicules the absurdity of contemporary air travel.